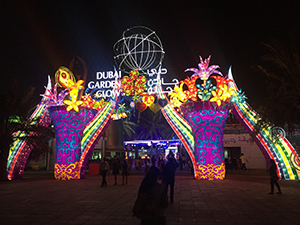 Dubai Garden Glow, a family entertainment destination in Dubai, has implemented Semnox’s integrated ticketing system. Semnox implemented its ticketing solution comprising of integrated online ticketing for end customers, tour operators and onsite ticket booking to both of the site’s theme parks. This digital platform has provided the destination with additional sales channels to increase revenue and reduce operational and overhead costs. Shreyas Rai, sales manager at Semnox Solutions, said that with the rapid increase in the use of digital technology it is “imperative for this industry to migrate from traditional ticketing systems” allowing technical solutions to “evolve quickly and satisfy different business models. “That’s exactly what we were able to do for Dubai Garden Glow. Our integrated ticketing system has been well received by our clients and we are very confident of rolling this out to our other customers and prospects in the future,” he added.